Palmyra was liberated from ISIS by the Syrian government army on March 27. Various sources have simultaneously reported a sudden counteroffensive by Islamist militants in Syria, who are trying to cut a strategically important route connecting Palmyra and Homs. The threat of losing Palmyra may draw Moscow into a protracted military campaign, in which establishing control over the world heritage site will be key. ISIS militants have been able to cut the road between Homs and Palmyra and disrupt supply routes used by the government forces, the London-based organization Syrian Observatory for Human Rights reported. However, according to Kommersant's source in the Russian General Staff, by mobilizing available resources government troops are managing to control the road between Homs and Palmyra, although fighting is underway to the south of the city (the most recent clash took place near a military air base, 45 miles from Palmyra). "Both the road and the city are under our constant surveillance," he said. "Combat aircraft get involved in the protection of strategic sites as necessary, our specialists are working there." The loss of Palmyra on March 27 was the most serious defeat for ISIS on the Syrian front, and the Islamists' attempt to regain lost ground seems logical. However, in recent weeks, ISIS's failures have ended, since the government forces need time to recover their attacking potential. After the return of Palmyra to the control of Damascus, there were reports that the success of the operation, which was achieved with the active support of Russia's Aerospace Forces, had opened the way for an attack by the Syrian army on Raqqa – the "capital" of the self-proclaimed "Islamic caliphate." "The Islamists have stepped up their attacks indeed and are still far from final defeat," Grigory Kosach, a professor of the Department of History, Political Science and Law at the Russian State University for the Humanities, told Kommersant. 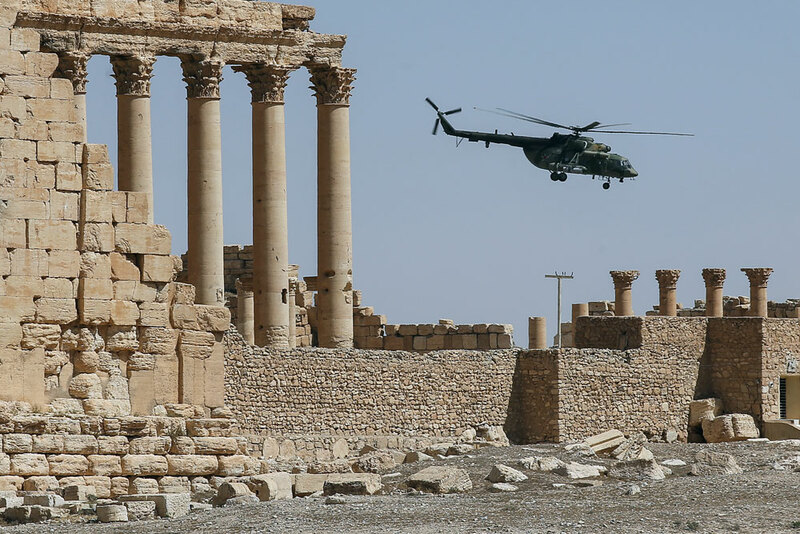 "At the same time, Russia, which has made Palmyra a symbol of victory and staked too much on it, cannot afford to stop halfway and thus lose face in the Syrian campaign. That means that Russia may be drawn into a new phase of a protracted military campaign in Syria – with unpredictable consequences." Read more: What is happening in Russia’s anti-terrorist campaign in Syria?